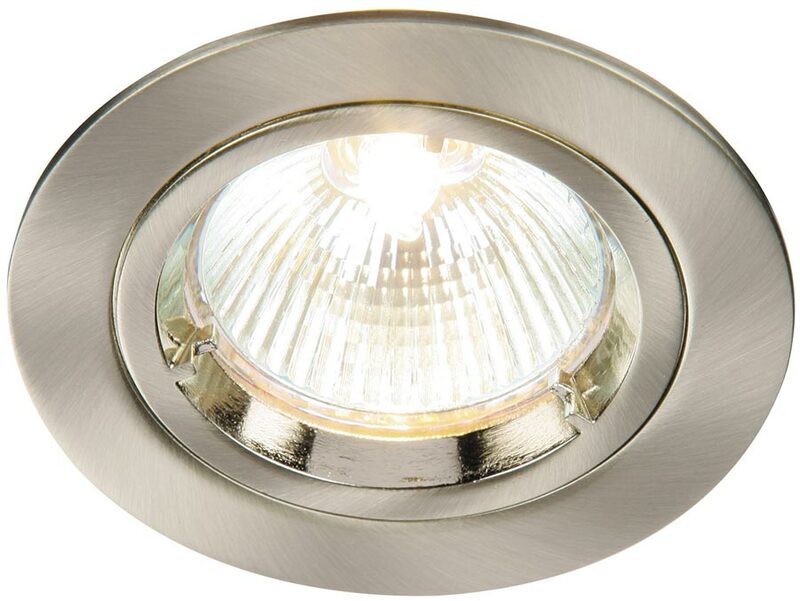 This cast satin nickel finish, fixed GU10 mains voltage downlight is economical to purchase, attractive and easy to install. It features a front locking ring for easy lamp replacement. Ideal for use with an LED GU10 reflector lamp (not supplied). Minimum void depth 95mm, cut-out 70mm. Double insulated, no earth required.